This movie depicted the vulnerable moments when the leaders were not doing the work and how they made sense of what they were doing as it related to their families. You get a glimpse into the toll that it took on these men to keep risking their lives and losing peers to violence. I didn't know the names Annie Lee Cooper, Sullivan Jackson, Cager Lee, or Viola Liuzzo before seeing this movie, but they are just as important as Bevel, Abernathy, and Young because they were the people who believed in the message and readily joined the front lines. In some cases they made the ultimate sacrifice. - Martin and Malcolm: It is very easy to believe the narrative that Martin and Malcolm were diametrically opposed and therefore enemies. At it's most sinister the popular narrative of their relationship pushes you as a Black person to decide whether you're with Malcolm (By Any Means Necessary) or Martin (Nonviolent Nonviolent). The movie complicates the popular perception and at least gets you to understand that Brother Malcolm had respect for Dr. King and that there were ways they could work in tandem. When I think of the way the Civil Rights Movement is taught in schools, the talking points are Rosa Parks, and then the famous male leaders like Medger Evers, King, and X. The contributions of women are largely ignored. 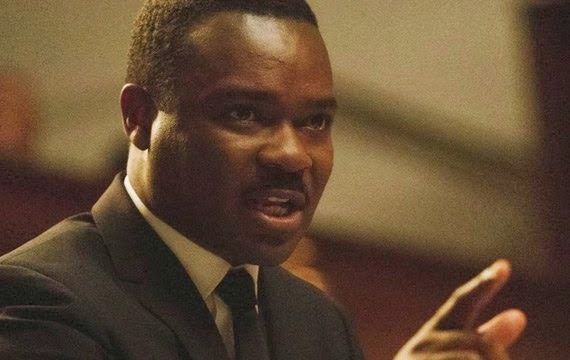 SELMA portrays how central to the movement women like Diane Nash and Amelia Boynton were. It even gives Corretta Scott King a stronger voice than she is often credited with in most narratives. You read about Bloody Sunday and Birmingham when you are a child and you remember the dates and the death toll. You understand that it happened. It is a whole different experience to watch a dramatization of these events and have to sit with the emotion of it. The emotion makes the stamp even more indelible in my mind so that when I think about my right to vote, those images will always spring forth. Unlike the Aaliyah movie where casting alone discredited its believability, this movie had superb casting. From David Oyelowo and Carmen Ejogo as Mr and Mrs King to Tim Roth as George Wallace, it all fit and the performances were brilliant. Tom Wilkinson as LBJ should have gotten some award consideration. Finally, I salute David Oyelowo and Ava DuVernay for their commitment to making sure this project made it to the screen. When I was a young student, I had Paul Winfield's portrayal of Dr. King to learn from and understand the Movement. Now the current generation has their upgraded version to use as a teachable moment. I hope all parents, educators, mentors and stakeholders in the lives of children will take advantage of this film as a resource. 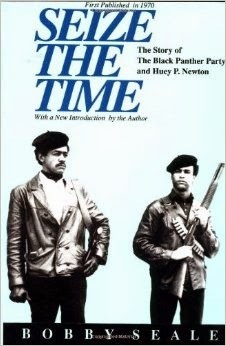 Bobby Seale and Huey Newton came up advocating for and the poorest members of their community. They had a firm understanding of the needs and frustrations of the people of Oakland and they developed the Party to directly address those needs. Early in the book, Seale tells the story of how hard he and Huey Newton fought to get a traffic light installed in the community and how important that was. They were equally committed to resisting an increasingly militarized police for which was unjustly targeting Black residents of Oakland (that sounds familiar). There are lessons here for today's Black leaders who often rise from more affluent backgrounds and struggle to connect with poorer members of the community. anti-white agenda. The Panthers put actions to these words by forming coalitions with predominantly White groups who shared similar goals. Newton and Seale were so adamant that members adhere to the principles of the Party that they were willing to kick people out when their actions ran counter to the beliefs of the organization. It was not simply about how many people they could boast about on their member rolls, but who was willing to commit to the work of fighting inequality. Speaking engagements and the sale of the Panther newspaper were the main revenue streams for the Panthers and many of the leaders broke their backs to do this revolutionary work without getting paid. They did not seek to be in bed with corporate entities who might try to dilute their message or divert them from their mission. The Panthers knew that to maximize the spread of their mission they would need to work with like-minded organizations. This shows a willingness to put egos aside for the greater good. It also shows how much the actual work of improving the plight of the poor and disenfranchised meant to Seale and Newton.